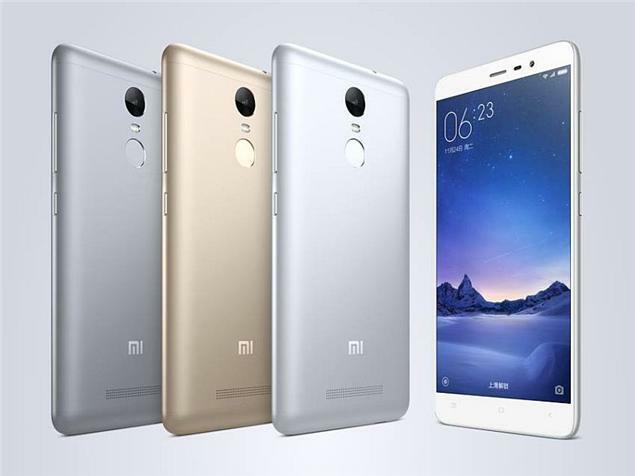 Guide to Flash Fastboot ROM on Redmi Note 3:- This Guide works on Locked Bootloader. You can Flash both Stable and Developer ROM.For Bricked devices Check Last part. Warning:- Read twice or thrice, understand and follow. For user with Window 8 and above, you should read here about driver. NOTE: If you get Language of SP Tools as Chinese, Follow this to change to English, Locate the "option.ini" file in SP Flash Tools folder and Change the value "CurrentLang" to "0". Step 5: Inside SP Tools Folder, Right click on Flash_tool.exe and click on "Run as adminstrator". Step 7: Locate the Scatter file named "MT6795_Android_scatter.txt" which is inside Images Folder of the ROM and copy it in signed_bin folder. Step 8: Make sure you are under the tab "download" Mode! and Download agent is DA_SWSEC.bin. Note:- Use "download Only" optiion, Don't use any other option here, It will erase IMEI NO, MAC Address. When Scatter file from Images folder is choosen, You need to use choose Scatter File from Signed_bin Folder. Step 10: Turn off your Phone, Now click on the "download" button on SP Tools, Now Press and Hold the volume down key of your phone (Keep it pressed until Progress goes Yellow) and Plug USB cable to your phone(Don't keep it plugged or Plug before pressing Download Button). Computer will detect your device and progress bar starts moving!. Just Follow the Below: - Use SP Tool V5.1516(Extract again the Zip, Re-Install the drivers) Hold Both Vol Down + Power button then plug the usb cable(Same as in main guide). The progress bar turned yellow and flash will be completed.Turned on the device, It will take some time wait for it. Read the guide carefully before replying to thread for any issue, Don't miss any step. Innsbruck2017 + 1 Thanks! Works perfect. Sucess to use this method. Installed all the drivers successfully after disabling the signature enforcement. Used the SP Flash Tool v5.1516 directly (didn't try newer ones) as Admin. NOTE: To change language from Chinese to English, edit the "option.ini" file in SP Flash Tools folder to change the value of "CurrentLang" to "0" (instead of "1" which is for Chinese). Loaded the scatter file after copying it to signed_bin folder. Pressed the download button and and then plugged the phone with Volume down pressed. After it completed, detached the USB cable and powered on the phone. It turned on without issues. TheJMan + 2 Fantastic! It's working. Kindly use [Reply] button while replying, so that I get notified and respond quickly. First attempt was with SP_Flash_Tool_v5.1532. Held the Vol Down key, the SP progress bar turn purple then yellow, released the key. The flash was OK, however my device wouldn't turn on. Second attempt was with v.5.1516. Pressing and holding the Vol Down key didn't work, got the error "BROM ERROR: S_DL_GET_DRAM_SETTING_FAIL (5054)"
Next try was holding the Vol Down + Power buttons then plugged the usb cable. This time it worked. The progress bar turned yellow. The flash went OK. Turned on the device, took about five minutes or so to enter the setup page. I flashed the v7.0.16.0, by the way. 3- I used another computer's USB port and disconnected all other peripherals that use USB on my computer, I left only mouse and keyboard! 6. In step 11 session, I plugged the cable in pc first (without the phone!!!) and later plugged MY REDMI NOTE 3 in the cable WITH BUTTON DOWN PRESSED and not let go until the confirmation image in SP_TOOLS. 7- For now everything is working. OBS: The first boot phone take 1 to 5 minutes to complete. WINDOWS 10 PRO 64BITS - Redmi note 3 / 2GB RAM / 16GB ROM! Thank you so mutch the author this post, you is great man! after 3 attemps i managed to get the yellow bar and then it flashed. Thanks a million!! This method worked for me on the third try.. The purple and other colors didn't appear, it was a yellow line all the way through to the tick mark. Finally I got rid of Sphinx and now have an official phone!! Next, I must see how to get the google playstore!! Successfully flashed this ROM (MIUI 7 7.1.18) using the stated procedures on my Redmi Note 3 3gb/32gb. I am wondering if this ROM support OTA update for future ROM update? Anyone knows? Work!! for me (Windows XP 32bit) , but not work in Windows 7 64 for me don't understand. My dead brick was successfully back to smart again. Just follow all the steps provided. Even though the screen was blank without fastboot Mi Robot, I eventually made it after a few trial by holding Vol- and Pwr with aid of connection signal from the speaker. Love you so much for the help ! I confirm it work !! Success!!!!! ....Thank you very much....!! just follow the step carefully, i am using windows 10 also can flash. Very good tutorial. Worked on the 2nd try flashing the phone. Info: Press the power + Volume Down button together, plug in the USB after that. Great post. Followed the guide step by step till #10,i have to press and hold power and volume down button to get to work in Windows 8.1 64bit 12gb Ram. using win10 and followed all the steps..
OK I finally done it on Windows 10 Pro x64. For those who have windows 10 in device manager please uninstall mtk USB port, but leave driver files. Otherwise it doesn't recognise your device then you holding volume down button and connecting USB cable to start flashing. Nothing wrong with the tutorial. I followed every single steps. But I failed twice caused I use SP_Flash_Tool_v5.1532. This version showed flashed OK but my phone didn't boot up. Got scared and used the mentioned SP_Flash_Tool_v5.1516.00 and it worked perfectly. I flashed successfully my Redmi Note 3 (16GB) MIUI 7.0.19.0 replacing with 6.3.3 Beta. 1) Followed all the tutorial steps one by one. only VOLUME DOWN button and it worked for me. 4) I received the BROM error when I released those buttons even after the YELLOW bar appear. I am a noob when it came to smartphones, I use my phone just like regular people never think about flashing phone roms etc. I decided to change my frigging old phone (Xperia Go) and decided Redmi Note 3 would be the best bang for the buck. Since it haven't arrive at my country at the time, I decided to buy from grey importer. Unfortunately, I had to experience a 'bloatphone'. The re-seller has install custom China Rom and it was knee deep in bloatware. Ads will popup from time to time, apps that I never install keep appearing my phone. Thus begin my journey into installing fresh official rom. I just want to thank Moderator (muz_paray) for this great knowledge. Successfully flash my phone to China MTK stable rom 7.2.3 for first try. It didn't work at the beginning because I was using flashtool 5.1604 and I had brom error. Then I used 5.1516 and worked perfectly! I'm just a real noob, first time flashing ROM. I've been really annoyed with the vendor rom that gives me a lot of bloatware and also adware that keep popping up. After following the steps in the OP. My RN3 has been successfully flashed into 7.2.3.0 from 7.0.19.0.0. Thank you so xomuch the author this post, you is great man! I bought two from Geekvida in about 2 months time. First was completely okay, also with Google PlayStore installed. The second one however started to show ads and stuff, installed apps by itself. So your method helped, I had to try a few times, but in the end it worked out. The phone is faster than ever. Unbelievable. Thank you so very much! I'd tried so hard to search the way to instal this official ROM on my note 32 GB. and this trick is the only one succesfull. Its works fine... im so happy ... thank you very much! I love you so much !!! Used this method to upgrade from 7.1.8.0 Global Stable to 7.2.5.0 Stable. With locked bootloader. During the procedure I uncheked preloader and uncheked user data. Everything went OK. All user data saved. After the reboot - appeared the Mi store, which wasn't on the phone in the previous ROM. System offered to update the system apps. everything looks good so far. Thanks for the tutorial. I did everything you told but this error keeps appearing, can someone help me?P.S. : I tried to change the drivers but it still gives this error. Did you Followed this Step. Step 7: Locate the Scatter file named "MT6795_Android_scatter.txt" and copy in signed_bin folder. It can be found in images folder. I can't download 7.0.16.0 ROM on the link. is it same with download on xiaomi website? At what step you are facing this error? This method works fine, follow the steps. Yes, it is same, the link is working now.